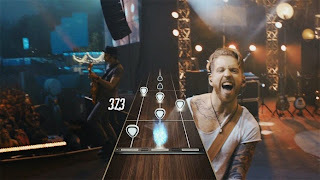 Guitar Hero Live, new chapter of musical franchise from Activision, aims to give new impetus to the "couch rockers". Now is the time to know what songs will be available to play in the game. Right off the bat we have names like the Rolling Stones, Green Day and Red Hot Chili Peppers. Check out the list of the first 24 confirmed songs! The Activision released the initial set list of Guitar Hero Live. Previously, a few songs had leaked through the video presentation of the game, but this is the first official list of the title, published for the magazine Rolling Stone. Guitar Hero Live has just revealed 10 new songs for the game that will resurrect classic franchise. These include big names like Pearl Jam and even the unusual rock duo Tenacious D comic, formed by Jack Black and Kyle Gass. 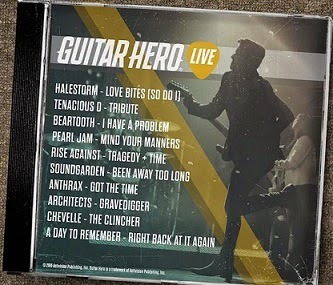 The new songs were revealed on the cover of a CD Guitar Hero Live, joining some famous names which have been disclosed previously, like, "Chop Suey" with Judas Priest "Breaking the Law", System of a Down with Red Hot Chili Peppers with "Higher Ground," Marilyn Manson "Disposable Teens" and many others. Beartooth - "I Have a Problem"
Rise Against - "Tragedy + Time"
Anthrax - "Got the Time"
A Day to Remember - "RIGT Back at it Again"
You may notice that the songs can vary between pop and rock, classical, modern and heavy metal. Guitar Hero Live will be released for PS3, PS4, Xbox 360, Xbox One, Wii U, phones and tablets by the end of 2015.